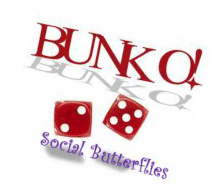 February BUNKO -------- Click on "Roxy"
"Game Time" is a SB fun day of playing games with all of our Red Hat Sisters! 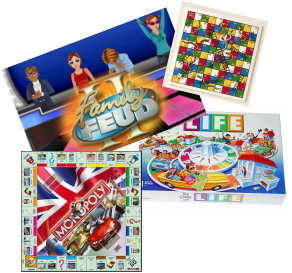 We will be playing different games at our "Game Time" Day events. SB plays , BUNKO, Board Games, Left, Center, Right, Apples to Apples, and many other games. we will have a [SURPRISE] "GT" Event "A Day at the Races". "GT" Days 2 times a year at 2 different locations. 1. Peris' Restaurant in Hawaiian Gardens, in their back room. Peris' Restaurant is local at 12251 Carson St, CA 90716. It is in the Garden Plaza. be in different months each year. NEW "GT" Day plans for 2016! We have BIG plans to add a NEW ~EXCITING ~ FUN "GT" Day in 2016!! for the "Game Time" Day you plan on attending. Our "themes" always include prizes! Examples of our past "themes:"
SB plays its February "GT" on the 2nd Wednesday or 2nd Saturday of the month. We have FUN, PRIZES, SILLINESS, and SB provides the DESSERTS!!! We will be changing to having our "GT" Day 2 times a year. 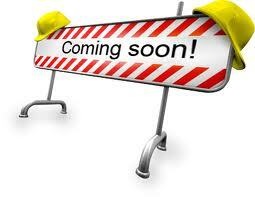 The 1st "GT" will normally be in February. In 2016 it will be on August 6th, 2016. The Game & Theme - "A Day at the Races" ! and more details. RSVP soon to hold your spot. 75 when held at Leisure World Club Houses. All Red Hat Supporting Ladies Welcome!!!! Read what others say about their experience at "Game Time" Days! 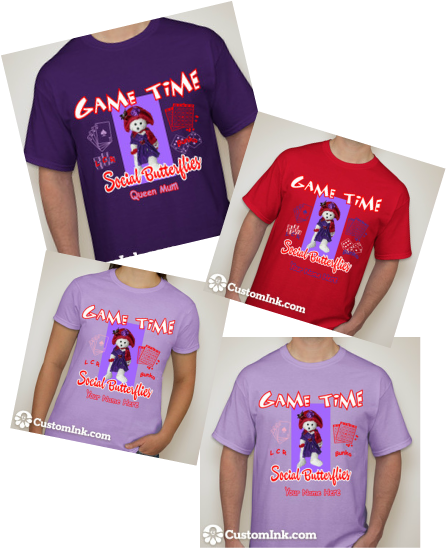 HERE..
available to order at "Game Time"
event games or order them here!! More BUNKO and "Game TIme" items! Center, Right", is a very simple game. Yet it has acquired many fans from all over the world. It is played with three dice and a handful of chips, but it can provide excitement equivalent to a horse race at any gathering without the necessity of going to the track or of cleaning up after the horses. Yet the fact is in L-C-R there is little strategy involved. Once a player sits in on a game, the outcome is left entirely to the three dice. With your Social Butterflies Red Hat sisters! Steam is a fun game to play if you love the "rails." Steam is an updated version of Age of Steam, adding new twists to building your tracks and adding new enhancements to your trading and shipping deadlines. This is a cut-throat evening for the wanna be railroad tycoons in your family. A popular new board game, Ticket to Ride is a railway-themed German style board game. Each player chooses different destination cards, thus creating their goal for the end of the game. Players attempt to connect their different destinations, collecting different cards as they go, which determine the value and longevity of each train "route". 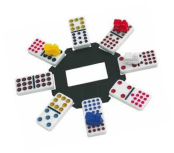 The game ends when a player exhausts all of their train pieces, although every player plays one turn afterward. The winner is determined by who has the most completed railway routes by the end. A very in depth game that is as much fun with two players as it is with the maximum of five. 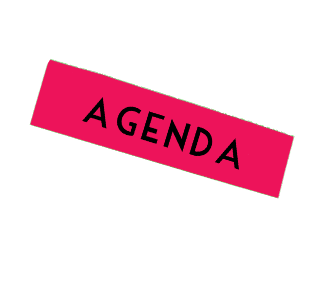 Scattergories is one of my favorites is a fast-paced word game that's a real crowd pleaser. Each player takes a category list with 12 categories--such as vegetable, state, president, things you throw away--and must write down the name of one item that fits into each category. Sounds easy enough, but each item has to begin with a specific letter that is determined when the 20-sided die is rolled. 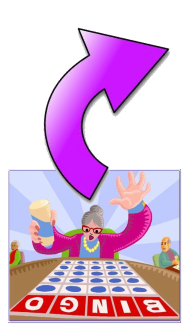 For instance, you roll the letter "R." Your answer list for the above categories might look something like this: rutabaga, Rhode Island, Roosevelt, rubbish, etc. You have to think fast, because a round lasts only 3 minutes! Players score points for each unique answer. Let's play some fun BOARD games. Bring one of your favorites to our "Game Time" day and share a game or two with everyone. These are some favorites, if you have some to donate to our "Game Time" day bring it! The game asks the questions that everyone wonders about from time to time. After a question is read aloud, one player (unbeknownst to the others) reads the correct answer, while the other players present bluff answers--as convincingly as they can--and then each player votes for the answer they think is correct. Points are awarded when your bluff answer receives votes or if you vote for the correct answer. BunKo should have at least 12 people to have a good game. Hearts is a "trick" taking game in which the object is to avoid winning "tricks" containing hearts; the queen of spades is even more to be avoided. The game first appeared at the end of the nineteenth century and is now popular in various forms in many countries. A fun fast paced game. 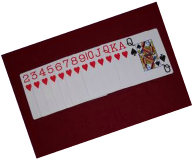 Each player is dealt seven "red apple" cards; on each card is printed a noun or noun phrase, or possibly a gerund. The judge (a chosen player) draws a "green apple" card on which is printed an adjective ("scary", "frivolous", "patriotic", etc. ), and places it face-up on the table for everybody to see. Then each player (except the judge) chooses a card that they think is the best match for the green apple card, and places it face-down. The judge shuffles the red apple cards, reads them (often aloud), and decides which noun is the best match for the adjective. This decision is subjective; the official rules encourage the judge to pick the match that is "most creative, humorous or interesting". The player who submitted the chosen red apple card wins the round, and takes the green apple card to signify the win. All players then draw red cards until they have seven again, and the role of "judge" may pass to another person (generally going to the next player in line, though some rules have the round's winner becoming "judge"). Some editions of the game suggest discounting the last red-apple card played, to encourage players to place their cards down more quickly. Apple Potpourri: Each player selects a red apple card from his or her hand before the judge turns over the green apple card. After the red apple cards are played, the judge turns over a green apple card. The judge selects the winning red card as usual. Apple Traders: To stir things up, on each turn, each player selects one red apple card from his or her hand to pass on to the player on his or her left. Players pass the cards after drawing their seventh card but before the judge selects a green apple card. Apple Turnovers: The roles of red and green cards are reversed, with players using adjectives to describe the given noun. This can be stymied by the relatively low number of green cards in the box (a third as many as reds). Apples Eye View: The Judge must pick a red apple card based upon the point of view of somebody, or something else (a house cat, Rush Limbaugh, Bill Clinton, a speck of dust, etc.). The player to the left of the Judge determines which point of view the Judge must use for that round. Baked Apples: After each player plays one card, the judge lays them face up and, instead of announcing the winner, identifies the non-winning cards first, each time explaining why it was not selected. The role of judge passes on to the winner of each round. Big Apples: Two or more players boasting that the judge will pick their card can agree to each wager one of their green apple cards. If the judge selects one of their red apple cards, that player wins the green apple card and all of the wagered green apple cards. If the judge does not pick one of their red apple cards, the wagered cards are forfeited to the bottom of the card stack. Crab Apples: The red apple cards are judged on how unlike they are to the green apple card. The card least like the green apple card wins. 2 for 1 Apples: The judge turns over two green apple cards to start the round. Each player selects the red apple card from his or her hand that is best described by both green apple cards. After the judge selects a red apple card, both of the green apple cards are awarded to the winner. Infinite Apples: Rather than playing to a set number of green apple cards, play stops whenever the players feel like stopping. The winner is the one with the greatest quantity of green apple cards. Apple Timers: Rather than playing to a set number of green apple cards, play stops when a certain time limit has been reached. This is sometimes coupled with time limits on each round, for both submissions and judging of red apple cards. The winner is the player with the most green apple cards. 3. Four expansion sets were available adding 72 extra green apple cards and 216 extra red apple cards each. In 2002, Expansion Set 3 won the Origins Award for Best Card Game Expansion or Supplement of 2002. 4. As of 2005, the original set and its expansions have been retired and replaced by a Party Box with the combined contents of the basic set and its first two expansions, and Party Box Expansion 1set with the combined contents of the third and fourth expansions, and a Party Box Expansion 2, which contains new cards. There are over 2 1/2 million gals that play Bingo. I wonder how many are Red Hat Ladies? 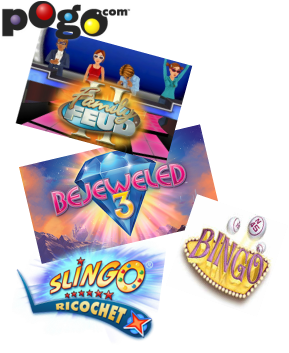 Another fun way to play Bingo is with playing cards. balls. The Ace is called as "#1"
"RRC" plays "Party Bingo" check out their dates.